Radish in the open bed and carrot are the first things I'm starting from seed in my new hotbox. All you can do is try. We learn from our mistakes. I'm not very familiar with growing radish, but the carrots do say plant "as soon as the ground can be worked." They are cold hardy and frost tolerant. 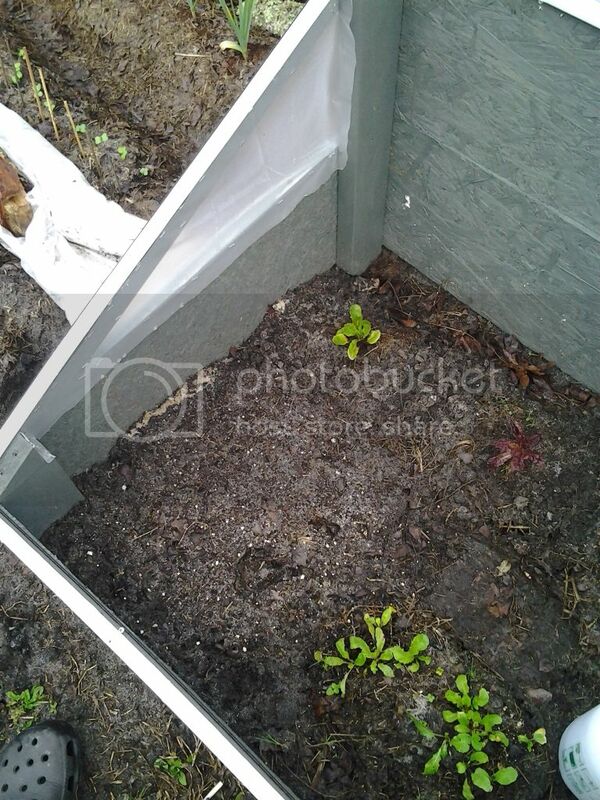 Is your hotbox the same as a cold frame or is it one that is heated by decomposing compost? What a great way to celebrate the New Year, by planting seeds! That's right, and I celebrated again today with cilantro between the greens in the box. The radish row almost 2 weeks on. Still nothing but a dogprint in the carrots. And they are in the hotbox. rainbowgardener wrote: I'm not very familiar with growing radish, but the carrots do say plant "as soon as the ground can be worked." They are cold hardy and frost tolerant. Actually most hot boxes are heated with heat cable. The decomposing stuff was mainly before electricity but I am sure a few people still do that. It's not heated so then you can call it a cold frame. But it gets bloody hot in there with the lid closed on a sunny day. Started a row of onion and cilantro in the garden, and a row of watermelon radishes in the hotbox/coldframe . The radishes got four leaves, then stopped growing. Never seemed like they were going to be ready on the 25the day.... Carrots never really sprouted. Got two different really small sprouts but don't know if they are carrots, don't think so. Anyone have any thoughts on what Im doing wrong? If it took two weeks for the radish, then it's probably still a bit too cold? I think it only takes a several days at soil temp in the 50's and a few days in the 60's. So it may still be too cold for the carrots. Do you have a max/min thermometer in there to keep track? Yea, I was wondering about the cold. I'll be happy if that's the only thing. I'll look into a max min thermo. Not a bad idea. Should I just start carrots over? I think I will radish. I think you just have to keep the seedbed watered and not let it get dried out. 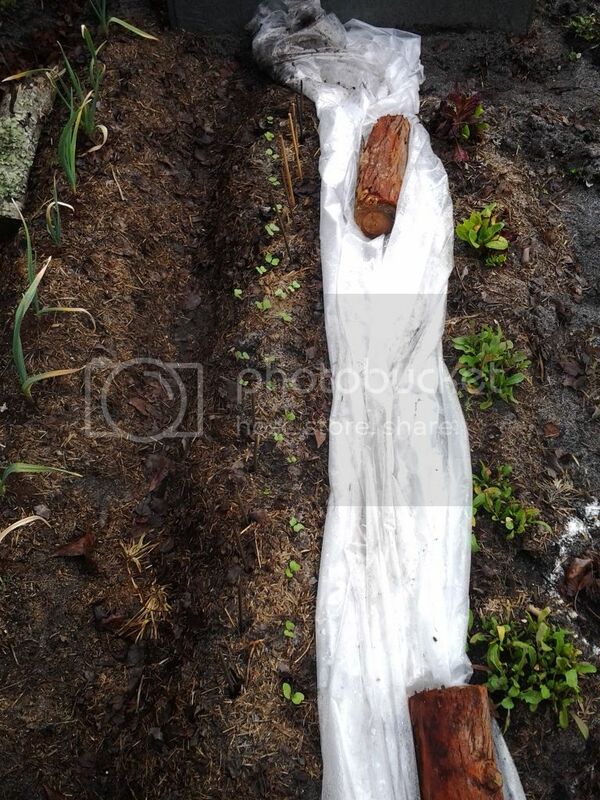 They'll emerge when ready and carrots can take 3 weeks when it's (too) cold. But go ahead and sow another row of each if you have room -- this is called succession planting. The row of onion and cilantro old seeds never did anything so maybe I'll set a row of radishes there then cover the carrot patch with dry grass clippings. That's right, just keep on planting. Tomatoes and peppers about to be started inside. 7.5 weeks before lady frost date. I pulled some Watermelon Radish today! Started my 2011 season today!